Staffed with a Water Librarian, this comprehensive Tier 1 collection of almost 21,000 documents is an exceptional resource for individuals desiring more indepth information on the State's water resources. 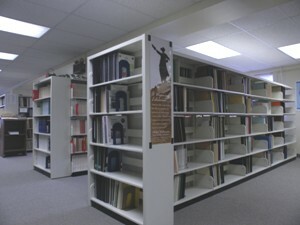 Government documents, maps, theses, and water institute publications all reside within the collection. 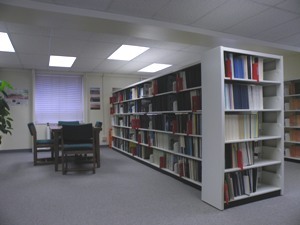 Specific agency publications represented in the collection include Wyoming Water Development Commission, State Engineer's Office, US Geological Survey, Bureau of Reclamation, Bureau of Land Management and University of Wyoming theses. Although several states are represented in the Collection, the focus is on Wyoming water. 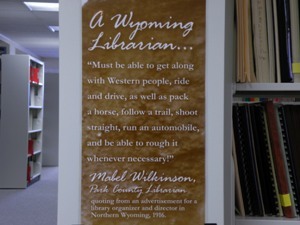 Other materials in the library cover drought, climate, the Wyoming water planning program, Wyoming environmental impact statements, and a small reference collection.